Your windows are more than just an appealing feature of the home. They’re also a key point that you should address in regard to your heating and cooling costs. The right windows will keep heat inside in cold weather, and seal it out when you’re cooling your home in summer. Proper maintenance and care combined with smart replacement choices will give you ideal energy efficiency year-round. Window construction begins with the frame. You need to make sure you have the right one for the job. Traditional wood frames offer excellent insulation, but they’re a high-maintenance pick. You need to seal wood frames every 12 to 18 months and inspect them often for signs of damage and rot. Vinyl frames are typically considered a budget-friendly option, but they’re not without their perks. Vinyl is an air-tight option. Constructed properly, it can offer efficiency levels that are similar to wood. Its biggest drawback is its appearance, which many find less sophisticated than other picks. Aluminum frames stand up well to weather, making them a low-maintenance pick that’s ideal for homeowners who don’t want to hassle with regularly sealing wood or repairing damage from heavy winds or severe rain. If you if live in a hurricane-prone climate, strong aluminum frames are probably the best option. Wood-clad frames offer something of a compromise. These feature a vinyl or aluminum exterior for strength, with a wood interior for added insulation. The major issue with wood-clad frames can come from leakage. If moisture gets to the wood, it tends to rot inside the frame. Professional installation is always the best option, but it’s particularly important if you’re using wood-clad frames. An experienced installer can help you avoid water intrusion. The number of glass panes included in your window will determine how efficient it is. 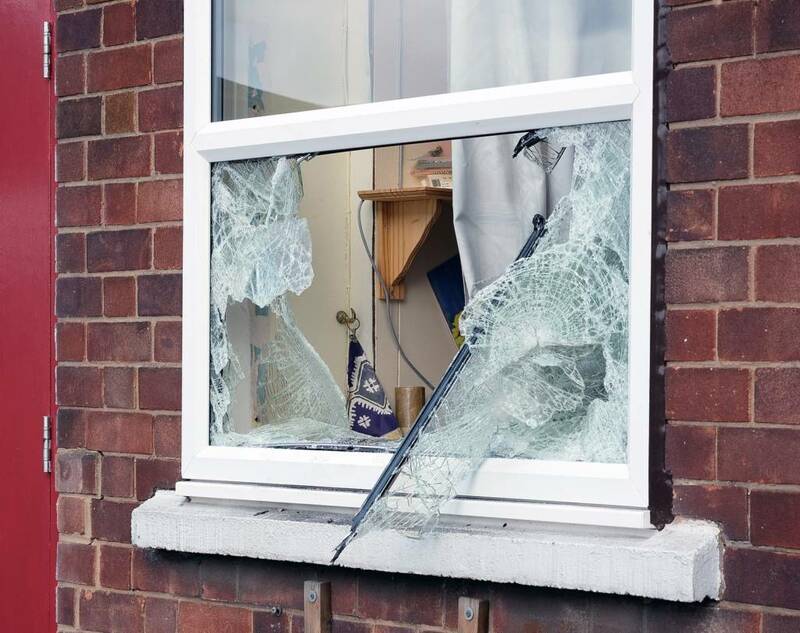 Windows with at least two panes of glass contain gas in the gap or gaps between panes. This decreases thermal conduction. Most windows contain either argon or krypton gas. Argon’s thermal conductivity is 67 percent less than that of air. Krypton is slightly more efficient, but it’s more expensive as well. The International Association of Certified Home Inspectors (InterNACHI) reports that gas-filled windows lose about one percent of their gas fill per year. However, these windows will maintain their efficiency with as little as 80 percent of the gas, so you can expect gas-filled windows to have a lifespan of about 20 years. After this point, you’ll need to have the windows professionally replaced. Another powerful efficiency feature for your windows is a low-emissivity (low-e) coating. This is a thin layer of metallic oxide applied directly to the glass. The coating reflects or absorbs heat, while allowing light to shine through. Low-e coatings come in two variations. Passive low-e coatings absorb heat and transfer it to the home so you’ll be less reliant on heating. Low-e coatings with solar control minimize solar heat absorption to keep homes cooler. Choose the coating that’s best-suited to your window’s orientation and your home’s climate. Windows are given two important ratings that tell you how well they perform. If you’re choosing new windows to replace those that are damaged or low-performing, you should look at these ratings carefully. The U-factor is a measure of thermal conductivity. You want a window that does not conduct heat. An energy-efficient window will keep heat in or out. The lower the U-factor, the better the window. Look for a U-value below 0.5. According to the U.S. Department of Energy, a window with two panes of glass and a half-inch of space between will have an average U-factor of 0.48, while one with quadruple glass can increase your efficiency to a U-factor of 0.22. Another rating that you’ll see is the R-value. This tells you how resistant the window is to heat conduction. You want to look for windows with a high R-value, which indicates that they will resist heat conduction well. Windows require regular maintenance and prompt repairs to provide optimum energy-efficiency. 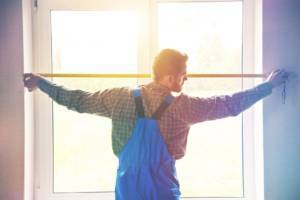 A professional can improve the efficiency of your existing windows without the expense of a brand-new installation simply by sealing cracks, filling gaps, and installing weather-stripping. Glazing and panes can be repaired, and hardware is easily replaced for a fraction of what you’d pay for new windows. Having your windows regularly inspected and repaired will increase their lifespan and improve your home’s energy efficiency. This is the most affordable way to manage your windows when you’re not ready to invest in a complete replacement. The right window choices will make a big difference in your home comfort expenses. Pick the right products and professional repairs now and you’ll enjoy lower energy bills for years to come.